Online marketing is a highly important strategy for all businesses, whether for a well-established enterprise or a starting local business. Brendan Donohoe, an executive director, says that this trend will continue. He is particularly excited about the rise of smart speakers and their role in commerce. Businesses need to adapt their marketing strategies to match innovations. If you own a local business, a key aspect of online marketing that you can tap into is local search engine optimisation (SEO), which helps you strengthen your customer base in your area. Digital marketing experts offer services with local SEO campaigns and strategies that target an increase in local visibility. Services include online listings, local citations, content creation and website optimisation. An online listing makes your company searchable on the internet, making it a priority for any business that is looking to increase local engagement. A listing in Google My Business (GMB) includes integration with Google Search and Google Maps, giving your business a big boost in online presence. Aside from displaying essential details, it also includes features such as a photo display, a review platform and a business insight manager. A listing provides a source of reliable information including your address and contact details. For example, if users are looking to have food delivered, they are likely to search for your number on the internet. However, if they are calling a line that is now defunct, they may opt to go for another option, causing you to lose customers. A GMB listing provides users with a clearer picture of your business. The latest roll-out of the application allows posts that display new products, conveniently allowing customers to familiarise themselves with the services you offer. According to Lisa Gevelber from Google, almost a third of all searches done on smartphones involve location qualifiers. These searches include phrases like “Melbourne coffee shop” or “Perth restaurant”. Near-me searches are also location-based; you can type “banks near me” when in Melbourne and get a list of banks that are walkable from your location. A business with an online listing can take advantage of these searches. When your business shows up on the results page for location searches, users unfamiliar with your product or service can consider you because of the proximity and accessibility. They can ask for directions and get information on the total distance and arrival time. Customer reviews on the listing provide users with the opportunity to see what others are saying about you, and if you have a high satisfaction rating, users will feel more comfortable trying out your business. You can reply to reviews and answer their concerns as well, giving your business some personality, approachability and accountability. The photographs in the listing can spark customer interest as well, especially for café and dining services. Photos of food, interior design and the location can be appealing for users, helping assure them that your restaurant is worth trying. At SEO Services Australia, we offer comprehensive digital marketing services for all your business needs. We provide innovative online strategies to help grow your local business in Brisbane, Melbourne, Perth and Sydney. Our services include organic and local SEO, Pay-Per-Click advertising, website design, social media marketing, reputation management and consultancy services. With SEO Services Australia, you can help your business maximise its potential. 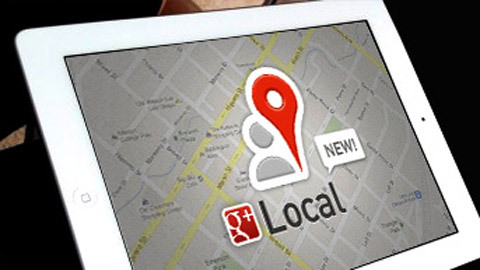 Start a local SEO campaign now. Call us on 61 2-8484-1104.